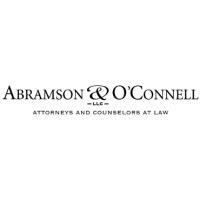 At the law office of Abramson & O'Connell, LLC, we represent clients in Columbus, Ohio, in matters of personal injury. We understand the life-altering changes that come with catastrophic injuries, and the financial, psychological, physical and emotional hardship that comes with them. To protect the rights of our clients, we use our 50 years of combined experience and integrity, professionalism and dedication to obtain compensation for them when they suffer an injury at the hands of another. Serving all of Ohio, we handle any type of personal injury, including wrongful death, workplace injuries, premises liability, products liability, injuries to children, birth injuries, spinal cord or brain injuries, construction accidents, dog bite injuries, catastrophic injuries, medical malpractice, motor vehicle, and truck accidents. The attorneys at our law office have handled hundreds of personal injury cases, and we offer free initial consultations to any resident of Ohio who has been injured by the wrongdoing or negligence of another individual. Our passion and focus, along with our livelihood, is based on helping those whose lives have been changed by an injury. The law office of Abramson & O'Connell, LLC, is known for handling cases that are complex and challenging, and we are not afraid to use our resources, knowledge, commitment and litigation experience to obtain the maximum compensation for our clients and their loved ones. We also accept cases from other states. We have been called to represent individuals from multiple places outside of Ohio including Maryland, Pennsylvania, Kentucky, West Virginia, Georgia, Florida and Massachusetts. No matter the location, every client receives the personal attention that brings peace of mind during a difficult, emotional time in their lives.